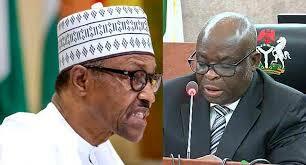 A senior investigative officer at the Code of Conduct Bureau, CCB, Mr. James Akpala, on Monday, admitted that the charge against the suspended Chief Justice of Nigeria, CJN, Justice Walter Onnoghen, was filed before his team concluded investigation on the allegation against him. 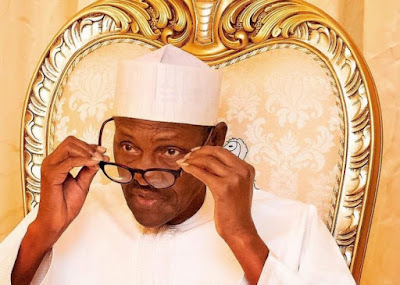 Aside allegation that he failed to declare his assets, FG had in the charge alleged that he operated five foreign bank accounts, contrary to section 15(2) of Code of Conduct Bureau and Tribunal Act. The FG had insisted that it was the CCB that okayed Onnoghen’s trial based on certain infractions that were discovered in his asset declaration forms. At the resumed proceeding on Monday, the prosecution presented Mr. Akpala as its first witness. Led in evidence by FG’s lawyer, Mr. Aliyu Umar, SAN, the PW-1, told the tribunal that he was a member of a three-man team of investigators that were investigating the alleged infractions in asset declaration forms the defendant submitted before the CCB. The witness tendered in evidence six sets of documents that included a copy of the petition he said led to Onnoghen’s trial, as well as his bank account details. The witness said: “My Lord, I am an investigator, I do not work in the legal department. At the time the defendant recorded his statement around 12:30pm, the team had no idea that the charge had been filed. “At about 2pm when we got to the office, we had not written our report then. We finished our report at about quarter to 3pm. The report was addressed to the Deputy Director Intelligence, Investigation and Monitoring”. Asked if he would be surprised to know that as at that 3pm when the team submitted its report, FG had already secured leave of the tribunal and preferred charges against Onnoghen, the witness said: “My lord I cannot answer this question. All I know is that we filed our report after we obtained statement of the defendant. We were not aware that the charge was already filed”.